Bethany squirms uncomfortably in the chair across from me. She’s a slender, attractive woman, her blonde hair pulled back into a pony tail accentuating her high cheek bones and large blue eyes. I’d guess her to be in her late twenties to early thirties. 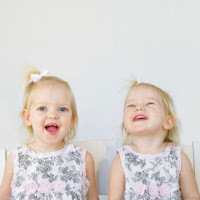 I flash on the memory of patient who years ago told me about giving birth to identical twins and feeling an immediate connection to the first twin that she didn’t experience with the second. Did Bethany’s mother have a similar experience with her twins that has shaped Bethany and Heather’s experience in the world? An unanswerable question, but an interesting one nonetheless.